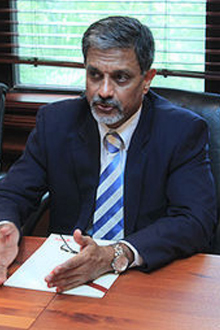 Ambassador Deepak Bhojwani retired from the Indian Foreign Service (IFS) in 2012. During his career, from 2000 till 2012, he was Ambassador in seven Latin American countries – Colombia, Venezuela, Cuba, Ecuador, Costa Rica, Dominican Republic and Haiti, and was Consul General in Sao Paulo, accredited to five southern States of Brazil. He has specialized in analyzing the potential for commercial and economic exchange between Latin America and India, identifying complementarities, cultural peculiarities, and has acquired experience and contacts in several countries of the region. LATINDIA identifies and generates opportunities for investment and economic exchanges between India and Latin America. Ambassador Bhojwani also conducts and directs research on Latin America and the Caribbean, and the region´s relations with India. 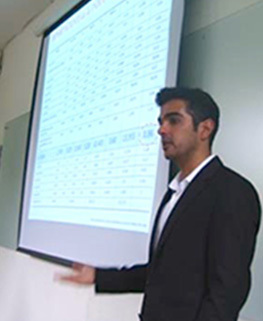 Samir Bhojwani is a graduate from Warwick Business School and an experienced veteran in Indo-LatAm business ventures. Having done his primary education in Brazil, he has started his professional career in India with the Mahindra Group and then moved on to work with companies such as Schlumberger and PepsiCo. in Latin America. He is fluent in Spanish, English, Hindi and Portuguese and has lived in both Continents for the majority of his life. Any international collaboration between potential partners needs an evaluation of shared interest and the risks posed by an unfamiliar cultural and political environment. LATINDIA’s accumulated experience in and of Latin America, coupled with its firm grasp of the ground realities in India will ensure that the relationships it helps foster remain durable and fruitful. LATINDIA has the ability to create unique networks of expert individuals and firms tailored to suit clients in Latin America and India alike. This selective access to the right skills and resources also contributes to the smooth success of client projects and ventures. LATINDIA offers a thorough assessment of the political economy, as well as collaborators, enterprises and institutions in India, Latin America/Caribbean. This assessment enables its clients to plan and execute proposals, projects and transactions in an informed and expeditious manner.